Everyone's talking about blockchain’s untapped potential. Its touted benefits may include lower cost, risk, and capital requirements, faster transactions, more transparency and reliability, improved privacy, and unparalleled security, to name a few. Blockchain technology is being applied in wide range of areas: Banks can use blockchain to make secure, low-cost, and faster transactions. Beyond financial transactions, blockchain technology can be used to put proof of existence of all legal documents, health records, and loyalty payments in the music industry, notary, and private securities. How does it solve specific business problems & which industries are finding successful use cases? Blockchain-as-a-Service (BaaS) - how is it engineered from a technical & strategic perspective? How are the different Open Source projects being utilized today (Etherium vs HyperLedger)? AI & blockchain - is there a symbiotic relationship? Future of blockchain and what lies ahead? 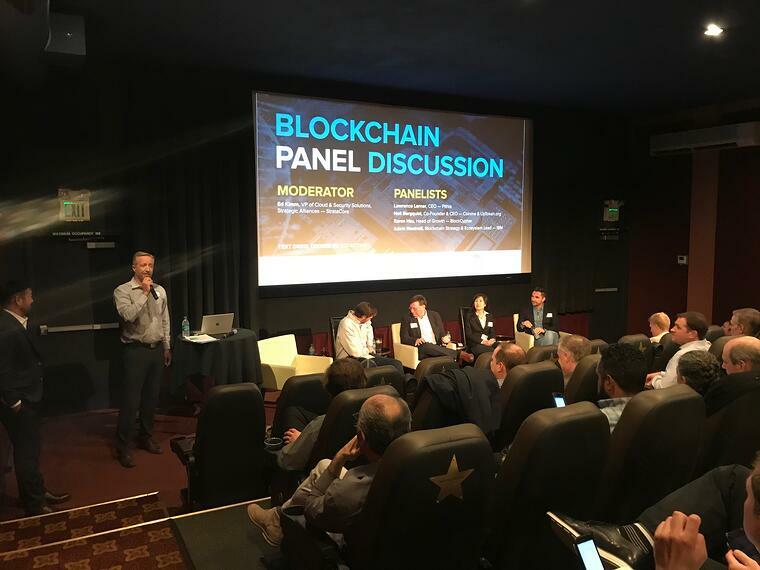 Watch the blockchain panel video here.